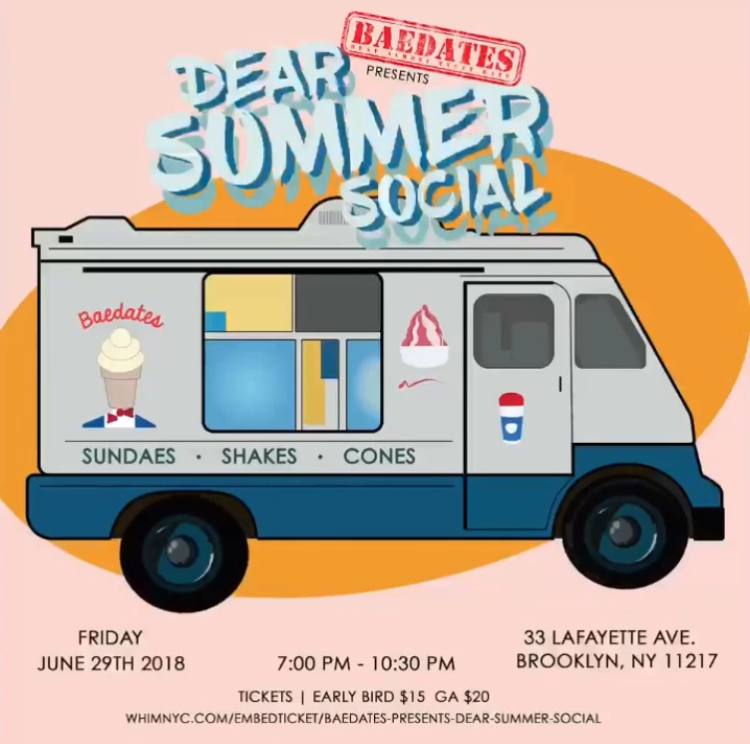 Baedates is back with the latest installment of our quarterly socials. This time we're celebrating summer in the city, with same fun, no pressure, non-pretentious vibes as usual. All sales are final. All events are rain or shine, unless otherwise noted, but may be canceled due to dangerous conditions. All events, dates, times, and locations are subject to change without notice. If an event is cancelled and is not rescheduled, you may contact info@thewhimapp.com for information on receiving a refund. There may be refund limitations set by the event organizer, including deadlines for requesting a refund. Any instructions and limitations will be communicated to you by Whim or the event organizers. The service fee portion of your purchase may not always be refunded. As a representative of the event organizer, Whim helps investigate and settle all refund claims promptly. The decision as to whether you are entitled to a refund is determined by the event organizer, and must be considered final. If refunds are offered, you must adhere to the event organizer's instructions and deadlines.